powered by the pure Nordic nature. 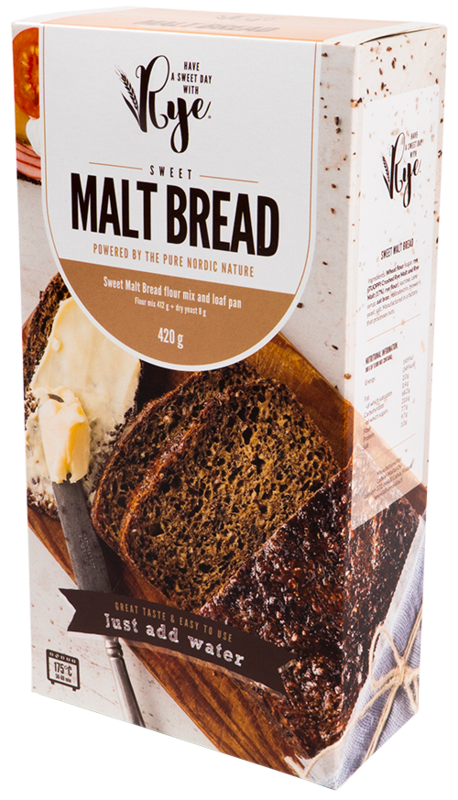 Sweet Malt Bread is tasty just as it is, with butter. It can be eaten with meals accompanying, for example, fish or soups. It’s delicious with cheeses, such as white mould and blue cheese! The flavour of this robust and healthy bread only gets better after it is stored away. Baked loaves can be stored in the freezer. Ingredients: Wheat flour, sugar, rye (TUOPPI Crushed Rye Malt and Rye Malt (17%), rye flour), sucrose, cane syrup, oat bran, maltodextrin, brewer’s yeast, salt. Nutritional value per 100 g of flour mix: energy 1459 kJ (349 kcal), fat 2,0 g – of which saturates 0,4 g, carbohyrdate 68,2 g – of which sugars 23,6 g, fiber 7,7 g, protein 9,7 g, salt 1,0 g.
Oat Powder with wild blueberry is a cooked, baked and milled wholegrain product which is seasoned with Finnish wild blueberry. One tablespoonful of the product (10 g) covers 10 % of the recommended daily intake of dietary fibre and contains a lot of proteins. For breakfast or snack and your stomach will thank you. Gives you a longer feeling of satiety. 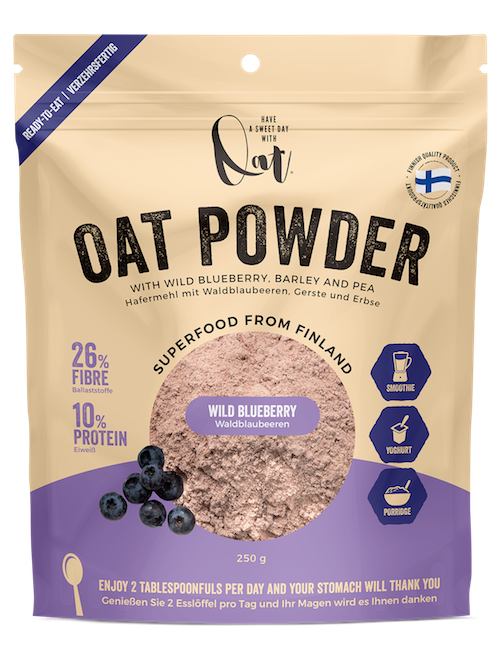 Ingredients: oats (70 %), wild blueberry (6 %), sugar, vanillin sugar, maltodextrin, barley, pea. Nutritional value per 100 g of flour mix: energy 1460 KJ (349 kcal), fat 3,7 g – of which saturates 0,6 g, carbohyrdate 55,4 g – of which sugars 13,7 g, dietary fibre 25,9 g, protein 10,2 g, salt 0,06 g.
Mix all ingredients well with an electric blender. 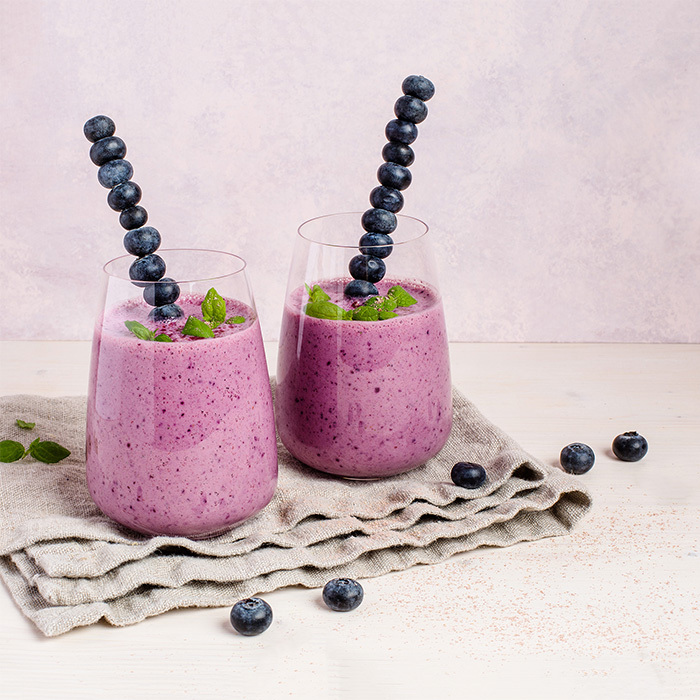 Decorate the smoothie with fresh mint and blueberries and enjoy. Sweet Malt Snack is a naturally sweetened oven dish from the Carelian region. It is made of mash mixed and cooked from rye flour, rye malt and water. Serve thawed with milk, cream, vanilla sauce or ice cream. Ingredients: Water, organic rye flour, organic rye malt, organic syrup, salt, organic bitter orange peel. Nutritional value per 100 g: energy 680 kJ/160 kcal, fat 0,8 g – of which saturates 0,1 g, carbohyrdate 31 g – of which sugars 10 g, fiber 7 g, protein 4 g, salt 0,2 g.
Laihian Mallas Oy is one of the oldest malt houses in Finland. The company has been in business for over 100 years. The grain used for the products of Laihian Mallas Oy has been growing under the midnight sun amidst the pure Finnish nature.  The products with the brand name Have a Sweet Day with Rye and Have a Sweet Day with Oats are healthy and delicious high-quality products for everyone to enjoy. Rye malt is used for making e.g. malt beverages and Sweet malt bread flour mix. 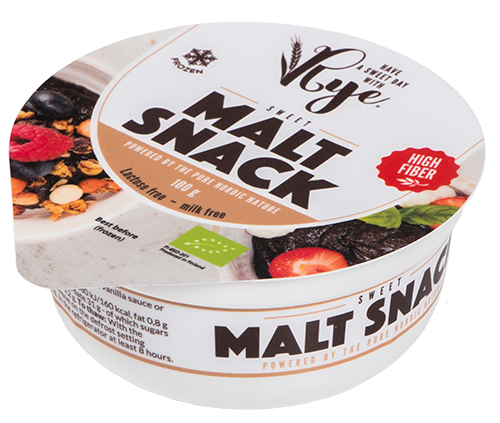 The product choice of Laihian Mallas Oy Group has various grain- and plant-based products for consumers and professional kitchens, for instance frozen pastry doughs with rye as well as malt and malt extracts for baking and sweets industry. Laihian Mallas Oy ist eine der ältesten Mälzereien in Finnland. Das Unternehmen blickt auf über hundert Jahre Firmengeschichte zurück. Das für die Produkte von Laihian Mallas Oy verwendete Getreide ist unter der Mitternachtssonne inmitten der reinen Natur gereift.  Die unter den Namen Have a Sweet Day With Rye und Have a Sweet Day with Oats geführten Getreidespezialitäten sind gesunde und köstliche finnische Qualitätsprodukte für jeden Geschmack. Aus Roggenmalz werden z.B. Malzgetränke und die Backmischung Sweet malt bread hergestellt. Die Produktpalette des Konzerns Laihian Mallas Oy umfasst verschiedene getreide- und gemüsebasierte Produkte sowohl für private Verbraucher als auch für professionelle Küchen, z. B. roggenbasierte Tiefkühlteige sowie Malze und Malzextrakte für die Bäckerei- und Süßwarenindustrie.